Paris, 1889: The world is on the cusp of industry and power, and the Exposition Universelle has breathed new life into the streets and dredged up ancient secrets. In this city, no one keeps tabs on secrets better than treasure-hunter and wealthy hotelier, Severin Montagnet-Alarie. But when the all-powerful society, the Order of Babel, seeks him out for help, Severin is offered a treasure that he never imagined: his true inheritance. To find the ancient artefact the Order seeks, Severin will need help from a band of experts: An engineer with a debt to pay. A historian who can’t yet go home. A dancer with a sinister past. And a brother in all but blood, who might care too much. Together, they’ll have to use their wits and knowledge to hunt the artefact through the dark and glittering heart of Paris. What they find might change the world, but only if they can stay alive. 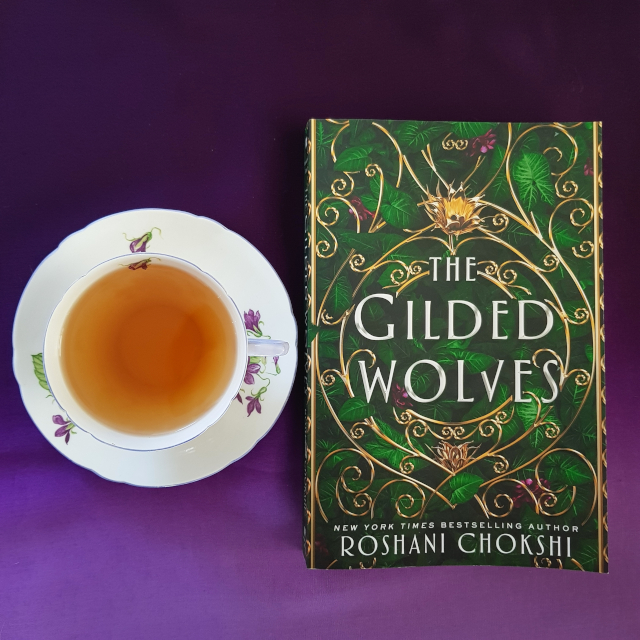 There was so much to love about The Gilded Wolves. This fast-paced adventure features a diverse cast, magical heists and a hefty dose of intrigue. It was a joy from start to finish. I’m always here for a good heist, especially if it involves a tight-knit team. When the story opens, the team have been together for a while and have well-established relationships, giving the sense of a fully fleshed-out world. In fact, when we first meet the team, they are in the middle of a heist and Severin is elbow-deep in trouble. It makes for a wonderfully dynamic start. The story is told in close third person, with chapters alternating between the perspectives of the team members. Since they each have distinct roles, this enables a view of the different aspects of the heists they pull–which is handy, since their capers often require simultaneous action in different places. When things go wrong, we get to see the other parts of the team realise that something’s not right and follow them as they try to correct course. The characters are also distinct in their backgrounds and personalities. Laila is a desi cabaret star, a talented baker, and has the ability to read the history of objects when she touches them. Zofia is a Polish Jew, an engineer with a magical affinity for metals and numbers, and is on the autism spectrum. Enrique is a bi, white-passing Filipino historian with a love for language. And Severin himself is half-Arabic, the owner of a luxury hotel and someone who burns for revenge. These diverse backgrounds are not just for show. The story tackles issues of racism and colonialism. Severin was denied his inheritance because the French faction of the Order of Babel were unwilling to have two non-white patriarchs heading their magical Houses, choosing instead to support Severin’s rival–the half-Haitian Nyx. And the bigger picture involves the Order of Babel undermining and suppressing non-Western nations’ ability to practice their traditional magics. Being a magical heist story, I inevitably compared The Gilded Wolves to The Lies of Locke Lamora. Its willingness to tackle these issues and to include such a diverse cast is what makes The Gilded Wolves superior, in my opinion. It’s also a very visual novel; it includes some lovely description of outfits, food and architecture without ever getting bogged down. Each of the Houses has their own symbols and visual motifs, which complement the dramatic nature of the plot. A story of this kind naturally has some twists and turns. The Gilded Wolves managed a nice balance between those I was able to predict and those that surprised me. All in all, I expect The Gilded Wolves will make my year’s best list once December rolls around. I can’t wait for the next book.